Hello there Beauty Broadcast family! It's review time! Today the subject is the 36 Smokey Palette from Coastal Scents. The cost is $22.95 on the Coastal Scents website. I mentioned it in my latest Shopping List Ideas video- but wasn't really able to elaborate on the different shades. Here goes! I love the concept of this palette- the six different clusters of color really make it user-friendly. You can obviously mix and match outside of the different color combos, but this gives you a great starting point! It's like carrying around six different mini-palettes with you in one! So that's a fantastic thing for travel, when you want to have lots of color options but don't want to fumble around with zillions of containers. Size-wise, this is definitely smaller than the 88 palettes (more portable). compared to the eye-popping brights in this palette, this grouping is a bit under-whelming. Not bad for neutrals, but not my favorite bunch in this palette. Not my personal favorite shades to wear on my eyes, but still- the matte shades in this section are wonderfully pigmented. I like that you get varying shades... from turquoise, to emerald, to yellow. One of my favorite parts of this palette. These colors really POP! While I love the dark purple & plum colors, even the mid-toned shades really stand out. It's hard to pick up on in the picture, but the lightest color actually has a unique opal sheen! My other favorite part of the palette. 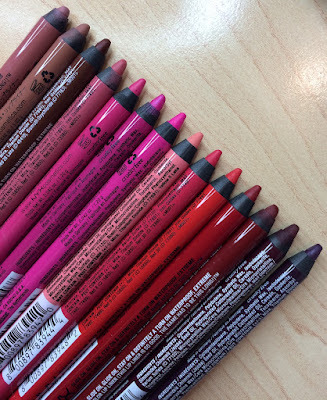 I gravitate toward colors like this a lot, but because I have tried so many brands & shades, I'm pretty critical when it comes to my blacks & charcoals. I like that you get the classic matte black, as well as a rich shimmery charcoal. You also get an interesting taupe-rose, which I love. And that silver in the middle is to die for. Love it! Calling all bright blue shadow lovers! This part of the palette holds nothing back. From rich turquoise to light sky blue, you get a pretty good range. Although it would've been nice to have a navy shade. I do appreciate the center shade on the right with its gorgeous golden undertone. This is a really fun bunch of colors. The black in this set actually has subtle pink sparkles. The varying matte pinks are very rich, and of the 2 lightest shades, the frosty pink is clearly the best. When applied with a light touch, you can take any of the bright pinks and warm up the border of a dark smokey look. While colors in the 88 palettes are about the size of dimes- these are larger... nickel-sized. From matte to satin to shimmer- there's a nice variety in finishes. Some shades are super bright, but you have enough deep tones to create contrast and "bring the look down a notch"- as I like to say. My swatches are shown with no primer... and just so you know, I never use primer for swatches. While I WOULD use a primer on my lids- I don't want to feel like you must have a certain primer to make them work. So I just show them without so you can truly see how the shadows perform with no other variables. Quality-wise, this palette is very similar to the other Coastal Scents palettes- so I give it high marks. It makes a good "try me" item if you've never gotten anything from CS before... because you're getting a sampling of lots of different colors and finishes. Tyler is still sick... but since his visit to the doc today, I think he'll be on the upward swing. I joke that I will buy him Sparkling Apple Juice (has anyone seen the SNL skit?) for New Year's Eve. Today I started a Tumblr page... does anyone else out there do this? My friend Alba had one posted this morning & I was inspired. Black Cherry Propel water is quite good. Cupcake has gotten over the thrill of us coming home after traveling for a couple days. She's acting like a bit of a diva. My nails are painted GOLD and I love it! I'm anchoring the newscast solo tomorrow. Topics include- how to avoid a hangover. Have a great day everyone and a Happy New Year!!! My nails are gold right now too! I switched to a blue/green for a day before switching back to the gold because I love it so much. Also, yay tumblr!! Beautiful palette! Love those silver and smokes!!! Great review! Have fun anchoring the news tomorrow...had to lol at the thought of your "how to avoid a hangover" segment. ;) I really enjoy your blog Emily!!!! Looks like pretty good quality - I have a few Coastal Scents palettes and think they're amazing value. I really want to get the metal mania one too. If you like Urban Decay enter my Book of Shadows 3 giveaway! Happy New Year Emily!! I really enjoyed this post, and that palette is gorgeous :) I have a few CS palettes, but the colours in this one are so pretty...if CS didn't charge such a fortune to ship to Aus I would probably get it. Might check out Ebay! Great post. I love being able to see how pigmented the colors are. They are very vibrant! I am a new follower and I have to tell u I am addicted to ur videos. 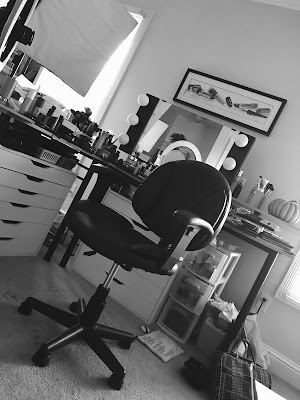 They have helped me so much I have been in a makeup rut forever. Thank you! Excellent product. We're using a lot of Coastal Scents here in UK. Also Mac Laptop, as it is just available for android Mobdro for iPad Download them offline. There is a share alternative. This has actually led to changed variation of kodi being Kodi you are likewise able to individualize it on your own. In addition to credit cards, First Premier Bank offers examining accounts. MyPremierCreditCard Credit Card is a great alternative in order to help you get your monetary life back on the right track. The nox app player is way better than Bluestacks in my opinion. You must try KrogerFeedback and gain 50 fuel points. The talktowendys Survey is your consumer care questionnaire form the talktowendys to get the customer feedback. Even the talktowendys talktowendys Survey is situated at the speech. Com. You can fill the talktowendys Survey and endure a chance to win $1000 cash prize! talktowendys talktowendysSurvey is a stage to speak out your brain regarding your adventure at the talktowendys store. You can tell how disappointed or happy you were during your visit.